Pappe argues that a single democratic state, to which the Palestinian refugees are granted the right to return, is the only feasible and just solution, and that the BDS campaign is a crucial part of achieving this. The campaign to isolate Israel through boycott, divestment and sanctions (BDS) has taken meaningful steps forward in the past few months, with major trade unions in Britain, Ireland, South Africa and Canada declaring their support for an international boycott. The BDS campaign has been gathering momentum since the 2004 "Call for Boycott" was issued by the Palestinian Campaign for the Academic and Cultural Boycott of Israel (PACBI), a coalition of more than 50 Palestinian civil society organisations. A May 27 PACBI statement explained that the boycott campaign "is based on the same moral principle embodied in the international civil society campaign against the apartheid regime in South Africa: that people of conscience must take a stand against oppression and use all the means of civil resistance available to bring an end to oppression". At its inaugural conference in May, the University and Colleges Union (UCU), which represents 120,000 academic and teaching staff, passed a resolution with a clear majority calling for a discussion within union branches about an academic boycott based on the PACBI call. The motion also encouraged UCU members to "consider the moral implications" of links with Israeli academic institutions. 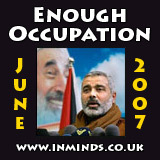 In June, Unison, Britain's largest trade union representing 1.3 million public sector workers, passed a comprehensive resolution at its national conference in support of an "economic, cultural, academic and sporting boycott", and the right of return for the Palestinian refugees from the 1948 establishment of the State of Israel. In early July, the Transport and General Workers' Union conference, representing 80,000 members, voted to organise its members in an economic and cultural boycott of Israeli products and sports contacts. On July 6, the Irish Congress of Trade Unions, representing trade unions and labour councils in the north and south of Ireland, passed motions condemning the European Union's policy of appeasement in the face of Israeli "crimes against humanity" and calling on the European Union to impose sanctions on Israel. The ICTU motions also pledged to "actively and vigorously" promote a campaign of divestment from Israeli companies and a boycott of Israeli goods and services. A July 6 media release from the ICTU's Trade Union Friends of Palestine stated, "It should be noted that there was no opposition at all to any of the motions, despite the fact that they represent what must be one of the strongest positions adopted by any trade union congress in the world". Also in early July, the Dutch government warned a Rotterdam-based company to stop working on the construction of the 700 kilometre-long "separation barrier" in the West Bank (referred to by Palestinians as the "apartheid wall"), as its construction was ruled illegal by the International Court of Justice in 2004. The British National Union of Journalists (NUJ) passed a motion in favour of a boycott campaign at its annual conference in April, however the decision has since been overturned by the union's national executive council. The trade union motions have provoked a predictable backlash from Israel's government and some public institutions, and from Zionist politicians and academics in Britain and the US. Some of the strongest reactions have come from Zionists in the US, and much of the public debate has centred on the proposed academic boycott and its impact on "academic freedom". The US Congress unanimously passed a resolution characterising the UCU's motion as "anti-Semitic". Despite former British PM Tony Blair's flustered attempts to assure the Israeli government that the UCU's resolution was "not representative of public opinion" in Britain, the Israeli labour federation the Histadrut is cutting ties with several unions involved in the boycott, and some Israeli politicians are calling for counter-boycotts of the countries involved. The pressure was too much for the leadership of the NUJ, which hastily overturned the membership's decision. 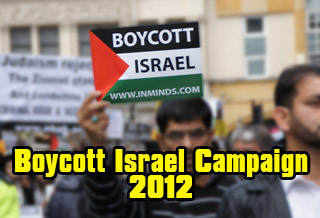 Following an anti-boycott campaign driven by pro-Israel journalists from the BBC and the London Guardian newspaper, the NUJ national executive council voted not to take any further action on the boycott as the British Trades Union Council had rejected the call. A 2005 boycott motion by the UCU's precursor had been similarly overturned at an emergency meeting of the leadership. Leading US Zionist academic Alan Dershowitz, a Harvard law professor, has also called the union resolutions "anti-Semitic". According to the July 14 Guardian, Dershowitz has gathered a team of lawyers to "devastate and bankrupt" those seeking to boycott Israel, in the name of protecting academic freedom. In June, Dershowitz led a successful campaign to have sociologist Norman Finkelstein denied tenure at De Paul University on the basis of Finkelstein's criticisms of Israel. Those protesting the loudest about infringing upon academic freedom and open discussion, such as Dershowitz, have been leading the campaign to silence academic and political dissent against Israel's policies. In a July 25 article for Electronic Intifada, Margaret Aziza Pappano points out the hypocrisy of those calling for academic freedom for Israeli academics while failing to call for corresponding freedoms for Palestinians: "Surely if university presidents are up in arms over a proposed boycott of Israeli academics, they must have something to say about the shutting down of universities, jailing and shooting of students and faculty, daily impeding of students and faculty from getting to classes, denial of student permits to attend universities, and revoking of visas to visiting scholars and researchers that characterizes academic life in Palestine. If a boycott of academic institutions is considered unfair, what does one call the methodical destruction of an educational system?" UCU executive member Tom Hickey, who led the proposal for an academic boycott, points out that Israeli universities are not neutral institutions but rather are actively complicit in perpetuating the occupation. "No Israeli college or university has publicly condemned what is being done in the occupied territories in the name of every Israeli citizen. Some Israeli educational institutions have established campuses for settlers on illegally confiscated land; others conduct archaeological digs on land from which Palestinian farmers have been expelled." Behind the cries of anti-Semitism and the debate about academic freedom, a serious debate over the effectiveness of the boycott tactic - and the legitimacy of its goals - has opened up within Israel's peace movement, in the public debate between Gush Shalom leader Uri Avnery and Dr Ilan Pappe. This discussion about the boycott tactic relates directly to the different proposed solutions to the question of Palestinian self-determination. Avnery argues that the only solution is for a Palestinian state to be established alongside Israel, and that a general boycott aimed at the collapse of the Israeli state would fail and would drive the Israeli population into the arms of the far right. However, each day that the occupation is prolonged, the settlements and checkpoint networks expand, and the apartheid wall annexes more Palestinian land, an independent Palestinian state becomes less viable. Pappe argues that a single democratic state, to which the Palestinian refugees are granted the right to return, is the only feasible and just solution, and that the BDS campaign is a crucial part of achieving this. In response to Avnery's claims that the Israeli population would not be moved to reconsider the basic premise of Zionism by a worldwide boycott, Pappe argues a boycott "will not change this position in a day, but will send a clear message to this public that these positions are racist and unacceptable in the 21st century ... They would have to choose."